Product #20637 | SKU 2011C | 0.0 (no ratings yet) Thanks for your rating! 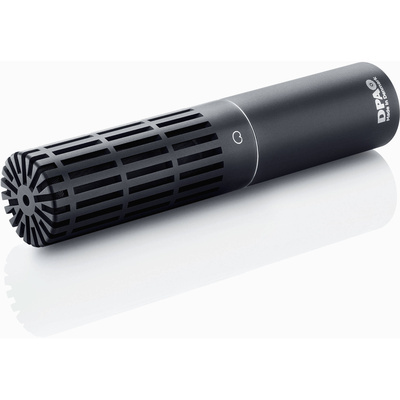 The DPA 2011C Twin Diaphragm Cardioid Microphone features a modular capsule design and sonic character reminiscent of the DPA 4011. The 2011C features a cardioid condenser capsule well suited for capturing instruments in sound reinforcement applications. Closely position the 2011C to speaker cabinets, percussion instruments and other instruments while effectively minimizing off-axis noise while maintaining a linear tonal response. Its modular design allows users to manually switch optional capsules and enhance its versatility and performance. The 2011C's output stage features the MMP-A output stage for faithful recreations of the original source material. The capsule's Twin Diaphragm is designed to provide a fast impulse response and large frequency bandwidth, resulting in lower inherent noise.